This article is about the Ruby GC. In particular it is about the GC present in Ruby MRI 2.0. The Ruby GC has been through quite a few iterations, in 1.9.3 we were introduced to the lazy sweeping algorithm and in 2.0 we were introduced bitmap marking. Ruby 2.1 is going to introduce many more concepts and is out-of-scope for this post. MRI (Matz’s ruby interpreter) stores objects aka. RVALUEs in heaps, each heap is approx 16KB. RVALUE structs consume different amounts of memory depending on the machine architecture. On x64 machines they consume 40 bytes, on x32 machines they consume 20 to 24 bytes depending on the sub-architecture (some optimizations shave off a few extra bytes on say, cygwin using magic pragmas). An RVALUE is a magical c struct that is a union of various “low level” c representations of Ruby objects. For example, in MRI, an RVALUE can accessed as a RRegexp or a RString or an RObject and so on. 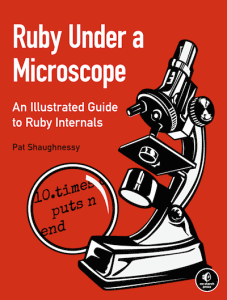 I strongly recommend the excellent Ruby Under a Microscope to get a handle of this, GC algorithms and MRI in general. Given this, each heap in a x64 machine we are able to store about 409 Ruby objects give or take a few for heap alignment and headers. heap_used: the number of heaps that have more than 0 slots used in them. The larger this number, the slower your GC will be. heap_increment: Is the number of extra heaps to be allocated, next time Ruby grows the number of heaps (as it does after it runs a GC and discovers it does not have enough free space), this number is updated each GC run to be 1.8 * heap_used. In later versions of Ruby this multiplier is configurable. total_allocated_object: The running total of allocated objects from the beginning of the process. This number will change every time you allocate objects. Note: in a corner case this value may overflow. total_freed_object: The number of objects that were freed by the GC from the beginning of the process. The GC in Ruby 2.0 comes in 2 different flavors. We have a “full” GC that runs after we allocate more than our malloc_limit and a lazy sweep (partial GC) that will run if we ever run out of free slots in our heaps. The lazy sweep takes less time than a full GC, however only performs a partial GC. It’s goal is to perform a short GC more frequently thus increasing overall throughput. The world stops, but for less time. The malloc_limit is set to 8MB out of the box, you can raise it by setting the RUBY_GC_MALLOC_LIMIT higher. Discourse at boot only takes up 25MB of heap space, however when we look at the RSS for the process we can see it is consuming way over 134MB. Where is all this extra memory? Turns out that for Rails apps the vast majority of the RSS consumption is not by Ruby heaps but by attached information to objects allocated outside of the Ruby heap and general memory fragmentation. This fact puts a bit of a damper on the GC Bitmap Marking algorithm introduced in Ruby 2.0. For a large Rails app, at best, it is optimising reuse of 20% or so, further more this 20% can get fragmented which makes stuff worse. Ruby protects your processes from using up all the available memory on your computer when making throw away copies of large objects. However, this setting very outdated, it was introduced many years ago by matz when memory was scarce. For an added bonus using very nasty hacks we can even raise this number in runtime. MRI will raise the GC limit if it over-exhausted (a percentage each time). However, in the real world, in a real Rails app the GC limit is very unlikely to grow much during runtime, you just don’t allocate huge objects regularly. So, we usually use the environment var RUBY_GC_MALLOC_LIMIT to push this number up. Every rails app should have a higher malloc limit. The default is too small, this tiny default means that many Rails apps in the wild are getting zero benefit from the faster “lazy sweep” algorithm implemented in Ruby 1.9.3. Further more, low malloc limits mean that the GC runs way too often. Typical Rails requests will regularly allocate a couple of megs of RAM. What should you set it to? It totally depends on the app. For Discourse we recommend 50MB. The downside of setting this too high is that you are increasing general memory fragmentation. How much memory is a page view allocating? Here we can see that the front page is causing 1.45MB to allocate, so out-of-the-box, without any malloc tuning we can only handle 5 requests. 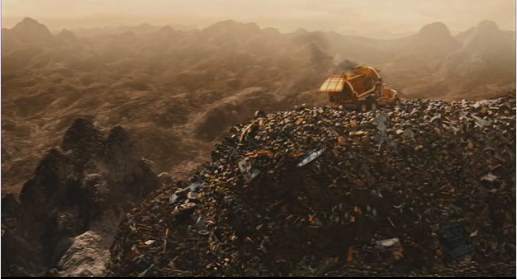 5 requests only generate 190k or so objects in the heap that is way below heap free num. We spent a lot of time tuning Rails 4 to cut down on allocations, before we started tuning this we were easily allocating double the amount for a front page request. note: running this report unavoidably is likely to cause your Ruby heaps to grow, due to iteration through ObjectSpace with GC disabled. It is recommended you cycle your processes in production after an analysis session. Ruby heaps will grow by a factor of 1.8 (times used heap size post GC) every time heap space is hits a threshold. This is rather problematic for real world apps. The number of heaps available may increase during an apps lifecycle, but it will never decrease. Say you have 1000 heaps in play, next time heaps grow you will jump to 1,800 heaps. However, your app may have optimal performance with 1,400 heaps. Remember, the more used heaps you have the slower it will take a GC to run. note: the Ruby heap growth factor is configurable and adaptable in Ruby 2.1.
sam@ubuntu:~/Source$ RUBY_HEAP_MIN_SLOTS=$(( 408*1000  )) ruby -e "puts GC.stat[:heap_length]"
We can also attempt to control heap space with RUBY_FREE_MIN. Unfortunately this setting does not work as expected. sam@ubuntu:~/Source$ RUBY_FREE_MIN=$(( 408*10000  )) ruby -e " GC.start; p GC.stat[:heap_length]"
sam@ubuntu:~/Source$ RUBY_FREE_MIN=$(( 408*20000  )) ruby -e " GC.start; p GC.stat[:heap_length]"
All this setting does is forces Ruby to evaluate if it needs to grow a heap, more aggressively. set_heaps_increment checks to see if heaps_used * 1.8 is larger than heaps_length … if it is it will grow the heap by 0.8 * heaps_used. The key here is that all free_num does is trigger a check. Out of the box free_min is dynamically adjusted to 20% of heaps_used. I can not think of any reason you would really play with this setting. A full GC can take a long time, in fact on a droplet at Digital Ocean, this blog can spend upwards of 100ms to perform a GC. This GC stops the world and “stalls” your customers. In an ideal world you would be able to control the GC and run it between requests. As long as you have enough worker processes, this stall will be invisible to your customers. The problem though is that it is very hard to predict when a GC will run, cause malloc information is totally invisible in Ruby 2.0. We are hoping to expose more information in Ruby 2.1. This means that if RUBY_GC_MALLOC_LIMIT is set too low, you have no way of predicting when a GC will run. There have been two attempts at an out-of-band-gc made public. Both attempts are severely flawed. In modern web apps the amount of data a page can allocate varies wildly. Some pages may allocate a tiny amount of memory and objects others lots. You can not deterministically guess when its best to run the GC based on request count alone. This means these attempt often run the GC way too often. Worst still they often attempt to run GC.disable which has extreme possibility of creating rogue Ruby processes with massive heaps. Once you disable the GC all bets are off. A simple loop can create an very problematic process. There, we now have a process that takes 156ms to run the GC on bleeding edge hardware. Even with all the missing information, we can do better than a simple, flawed, request count. At Discourse I have been working on an out-of-band-GC that works quite successfully in production. Firstly we need to make sure malloc limit rarely affects us. We do so by raising it to 40MB. The algorithm than tries to leave room for 2 “big” requests, if it notices there is not enough room, it will preempt a GC. This worked very successfully for us at http://discourse.ubuntu.com as can be seen when running this in verbose mode. Once in a while you get a miss, cause it is impossible to predict malloc and potentially massive requests, however, in general it helps a lot. You can see the out-of-band-gc kicking in at different request counts, sometimes we can handle 20 requests between GCs, other times 80. As an added bonus, you don’t need to run unicorn_killers and risk is very low. Given the built in tooling and Mini Profiler, you are not running blind, you can do quite a lot to investigate and understand your GC behavior. Try running these snippets and tools, try exploring. Many very exciting changes both to GC algorithms and tooling are forthcoming in Ruby 2.1 thanks to work by Koichi Sasada, Aman Gupta and others. I hope to blog about it. Special thank you to Koichi for reviewing this article. Actually you can use it to force grow the heap which speeds up booting large applications (because of lower GC count), however the speed up is not so big. I think you would use RUBY_HEAP_MIN_SLOTS to force grow the heap (even though it is buggy), it is actually quite an important setting. Consider cases where you want to ensure there is enough heap space to serve N requests, since requests usually allocate a small limit of objects (compared to the current heap) odds are they will not trigger heap growth. End result is that, depending on your app, you may have room for a very limited amount of requests in the heap. RUBY_FREE_MIN as implemented in 2.0 is not that useful, however, we now have it fixed in 2.1 so it can be used very effectively to ensure heap space for requests. Heh, actually you are right, RUBY_HEAP_MIN_SLOTS should be more appropriate and it is supported even in 1.9.3. Thanks. I believe you have an extra ‘r’ in there. I needed to use ?pp=profile-gc to get the profile info. Not trying to pick nits, but rather clarify for others who may copy/paste as I did, and then wonder why it doesn’t work. Thanks for doing this extremely useful writeup! Thanks heaps for catching it, did you see anything interesting in the output? Curious to see what kind of numbers are out there, how many allocs do you get per request? Why do we need to perform require 'objspace' (your first line of the first snippet)? Everything seems to be working without it. I’m still very much in the “figuring out what it all means phase”. I initially came here trying to see if there was some GC setting I should be applying to my prod setup (Passenger and ruby-2.0.0-p353). Unfortunately as with most things, there does not seem to be a “GO_FASTER=1” flag for GC, and much experimentation is needed to tune a particular environment. No surprises there. However rack-mini-profiler quickly helped me realize that I had several N+1 Selects and a totally broken use of Rails.cache.fetch (I had a return statement from within a Proc which short-circuited the cache write!) So two big wins right there already. how many allocs do you get per request? Is that a lot? shrug… BTW that’s with Rails 3.2, RAILS_ENV=production, and running on my Mac, so perhaps the numbers are inflated due to 64 bit. Why do we need to perform require ‘objspace’ (your first line of the first snippet)? Everything seems to be working without it. Good point, I guess its a habit thing. I always forget to require it and then I get surprised memsize_of is missing. @armhold when I look at your numbers the one that sticks out to me is: 3833179 bytes per request. At this rate, with default GC settings you will be hitting the GC every 2 requests, that is a massive impact. I think typical Rails apps should be able to handle 10-60 reqs per GC so recommend you bump up your malloc limit. The numbers there are quite typical of Rails apps and I would expect it to go down by at least 20% if you upgraded to Rails 4. With regards to rack-mini-profiler, we are running it live on http://meta.discourse.org I will bump up the version next week. Really happy Mini Profiler is helping you, be sure to try ?pp=help and run through some of the other goodies like flamegraphs. Rails apps should be able to handle 10-60 reqs per GC so recommend you bump up your malloc limit. Hmm, I tried running with a 2GB limit (RUBY_GC_MALLOC_LIMIT=2147483648 RAILS_ENV=production bundle exec rails s) but it seemed to have no impact- I still get 2-4 GCs per request according to GC Stats: count. I only meant that I wasn’t sure if master was your “dev” branch or something more stable. Not meant as a knock on your code in any way. Glad to hear there’s a version bump on the way. That strongly indicates you need more heaps. Try playing with RUBY_HEAP_MIN_SLOTS=$(( 408*1500 )) as imperfect as the setting is it still kind of works. Hi, I’m wondering if you have experimented with running Discourse under JRuby to take advantage of the JVM’s more mature GC? If so, what were your experiences? Thanks! Hey Sam, why the magic number of 23 for the max size of a heap string? Can you break down the structure of a ruby heap so I can better understand why this prime number 23 is the cut off for a string length? @davogones I tried running Discourse on JRuby in the past and it was actually slower and required a fair amount of hacking, postgres support is raw and Charlie’s pg port is a work-in-progress as far as I can tell. I would love to revisit this and would be happy to take in patches that give us JRuby support, I would even consider using it in production if it was faster. On an x64 machine RBasic takes up 8+8 bytes. (two longs) which leaves us with (8+8+8) minus 1 for null termination I guess. After an evening of hacking away at the Gemfile and commenting out C extensions, I got Discourse running in JRuby! It seems pretty snappy too. All that remains is to plug in the JRuby equivalents for the gems that rely on C extensions. Are there any benchmarks I can run?